In April 2016, a magnitude 6.2 earthquake hit Kumamoto, Japan. 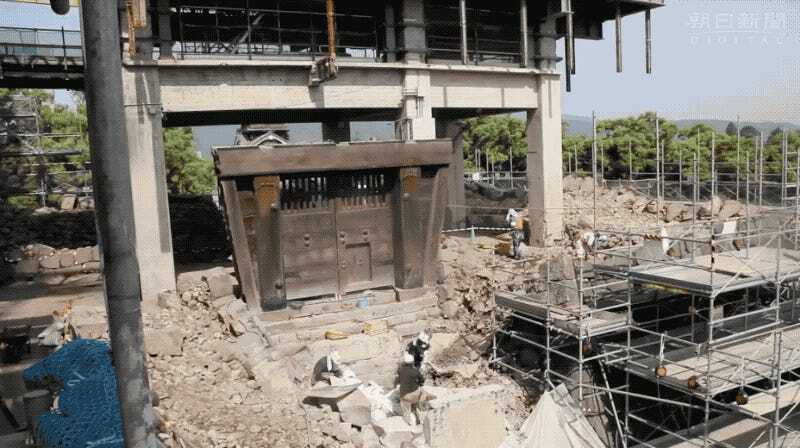 The region’s famed castle was badly damaged, but rebuilding is underway. It looks tricky. 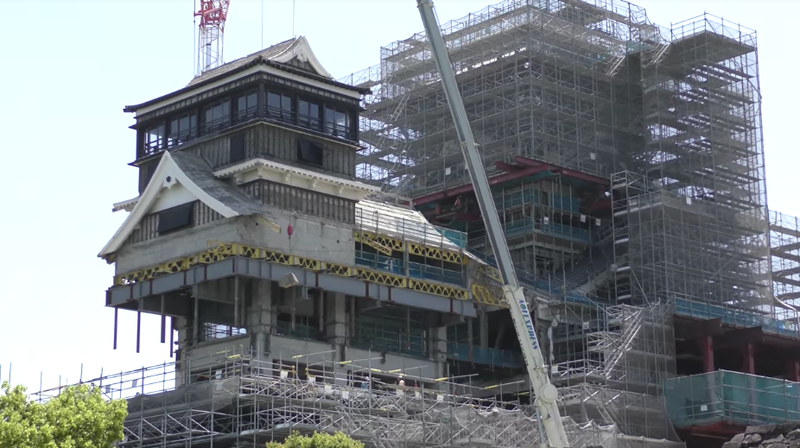 Kumamoto Castle, which was originally built in 1607, was attacked during an 1877 rebellion, with parts of it, including the keep, burned down. This photo dates from May 2009. This photo also dates from May 2009. 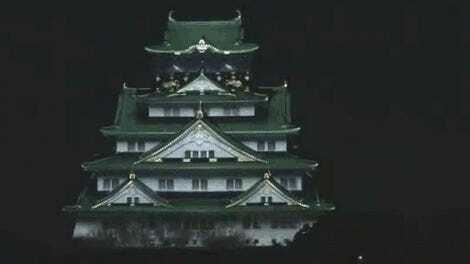 The 1889 Kumamoto Earthquake damaged what remained. In 1960, the castle was restored, with the keep reconstructed in concrete. This photo shows the damaged turret and dates from April 18, 2016. The April 16 quake of 2016 damaged those reconstructions. 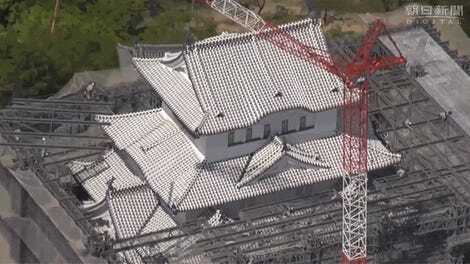 Here is what one of the turrets looked like after the quake. In the above GIF (and below clip), you can see how it is being rebuilt. According to Kyodo, the turret now sits on reinforced frames. 4011tama1As you can see, this is a massive project. Construction is slated to conclude in 2021.